Yes, it would be a welcome sound. 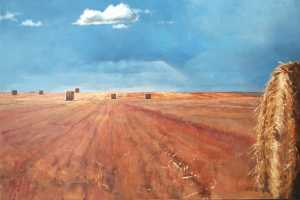 Check out many other evocative pictures of the prairie by Carl Schlademan at Canada House. There is even one entitled "Morning Rain", in case you have forgotten what it looks like.